Keeping little ones safely occupied for 10 or 15 minutes can be difficult. When my children were toddlers and preschoolers, I didn’t know anything about “busy bags”, but I am thrilled to have a basket of busy bags for my grand-daughter. They keep her attention for 15-30 minutes, and many times longer, depending on the activity. The activities in busy bags help to promote reading readiness, number awareness, fine or gross motor skills and creativity. It is not uncommon at all for these activities to lead my grand-daughter, Miss Joyness, into more creative play. Today I’m going to share some of the ideas with you. 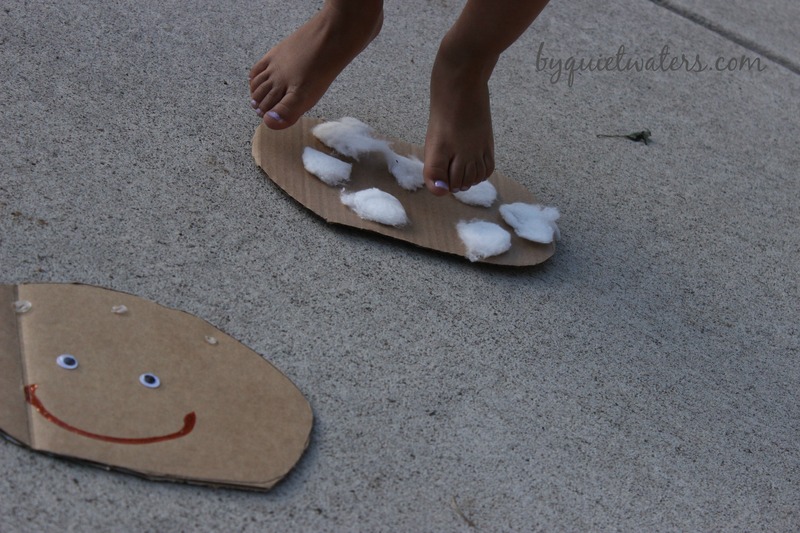 These ideas are for the younger crowd, but might still be a little fun for a preschooler. 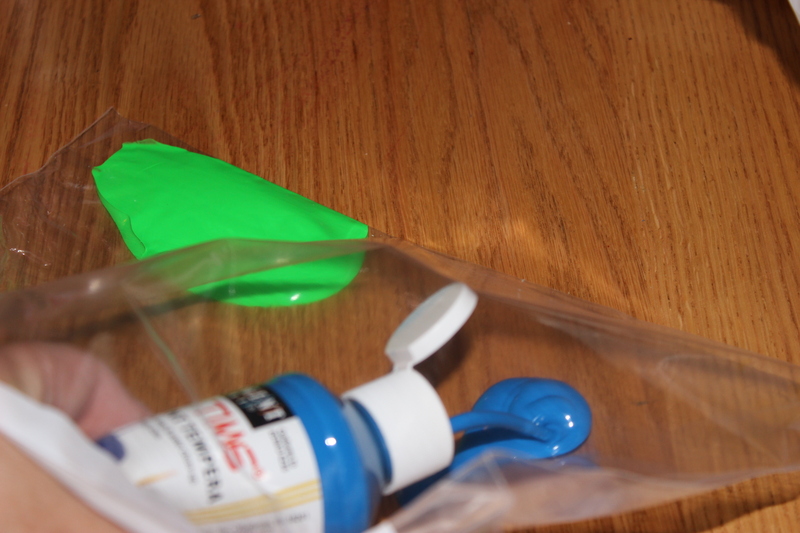 This is a gallon ziploc with 2 colors of tempera paints, zipped close, then secured with fun duct tape. 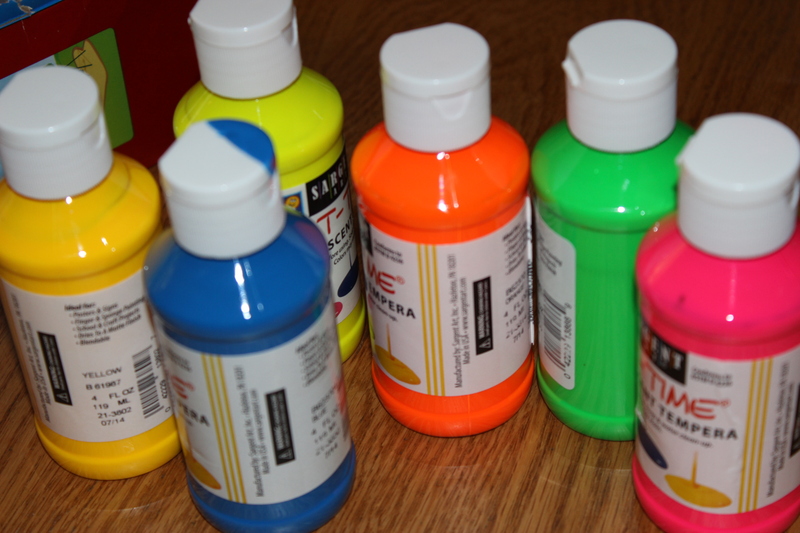 JoyNess has a great time “painting” with these, and there is no mess for me to clean up. There are times when I do let her paint on a large piece of paper, and get the paint all up her arms and so on. But sometimes it is wonderful to not have the mess to clean up! These bags need to be replaced after a couple of uses, the paint blends all together and turns brown. 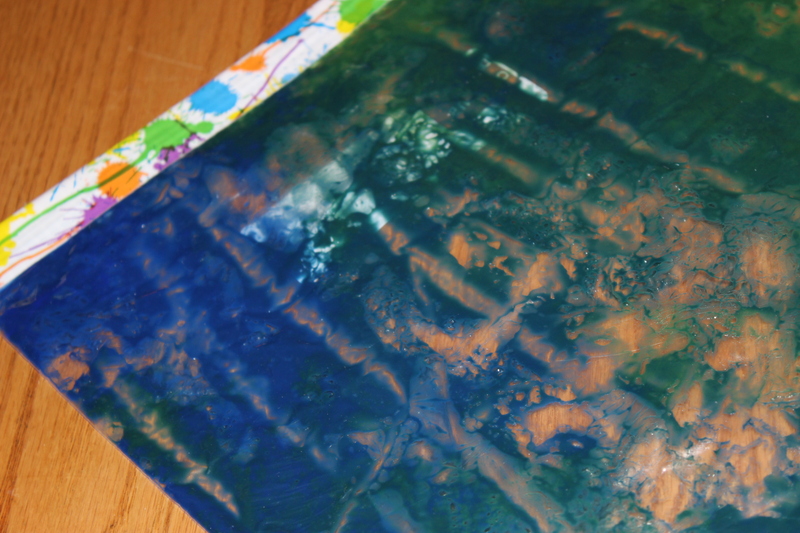 But all it takes to make a new one is a ziploc bag, a couple squirts of paint and a strip of duct tape. 2. Build a Cupcake busy bags. This idea came from the Money Saving Mom website. These lightweight bags are great for packing for traveling. 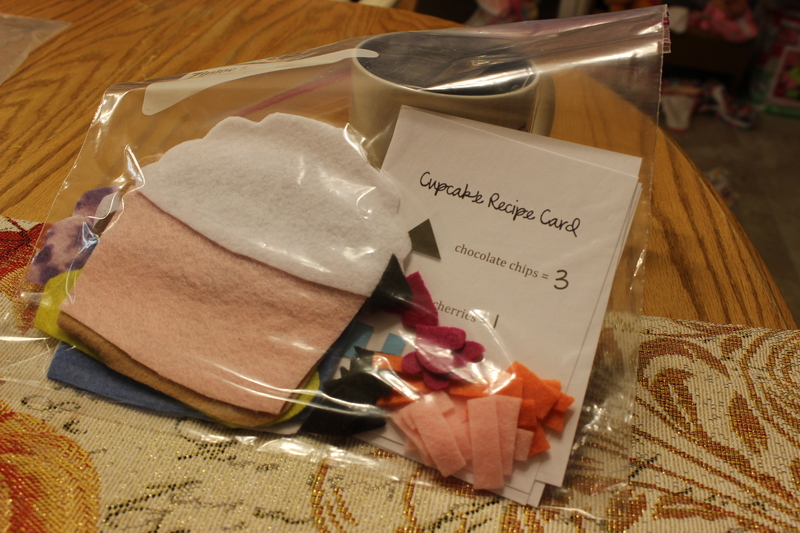 For this busy bag kit you need various colors of felt. It is great to build busy bags as a part of a swap, as often times the supplies one gathers to make the bags is enough to make several. That will be the case with this kit, unless you have a wonderful stash of felt scraps! 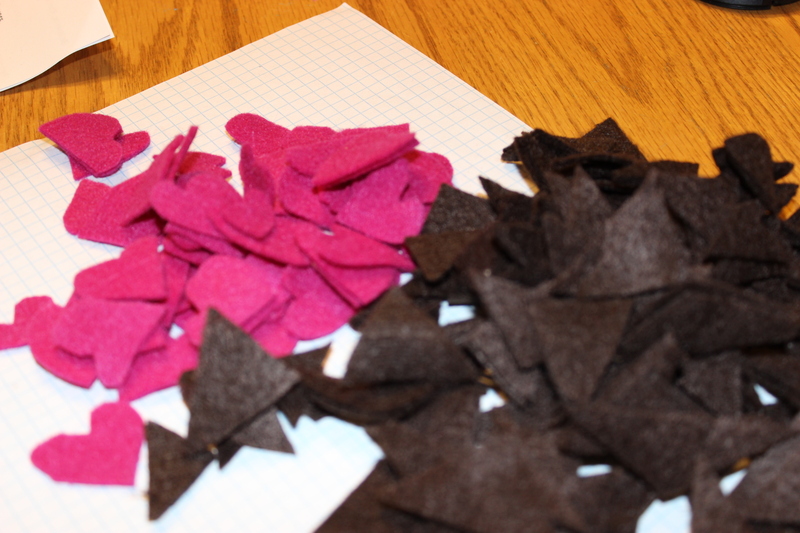 Hobby Lobby and Michaels each sell felt blocks for about $.25 each, in many colors. 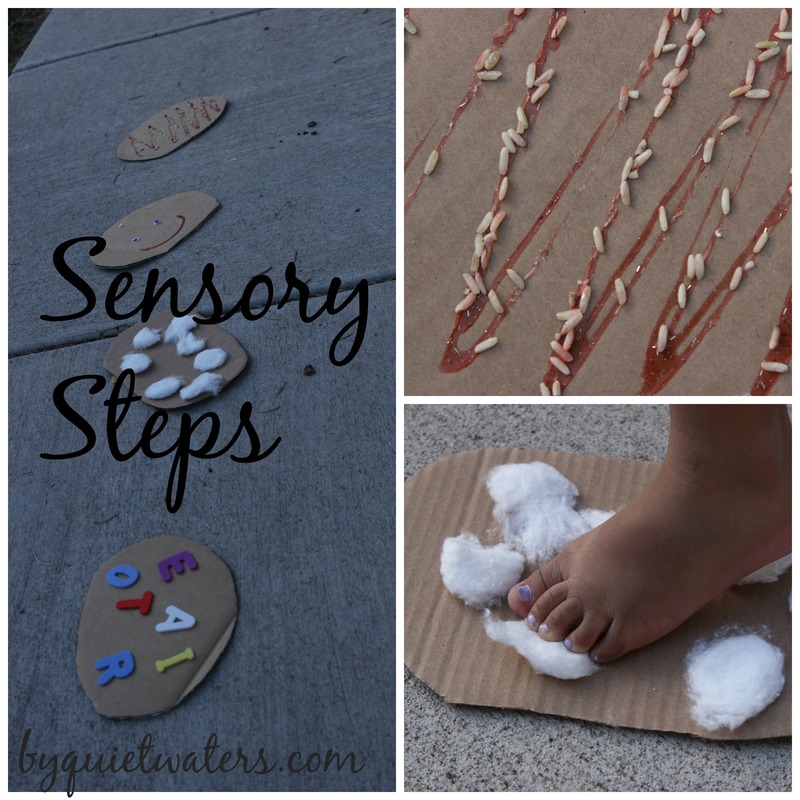 The Sensory Steps kit/bags are very simple to make. Take one or two cardboard boxes, left from your amazon orders, and cut out several “steps”. There are so many ideas as to what you can add to the steps, let your creativity go wild! We received our set in the swap. We have cotton balls, rice, foam letters, and googly eyes. If my grand daughter shows more interest I’ll add more steps and textures. It is more likely that we’ll be drawing hopscotch squares as a sweet 6 year old recently showed her how much fun that game is. When I laid out these steps last week, Miss Joyness tried hopping and jumping from step to step. 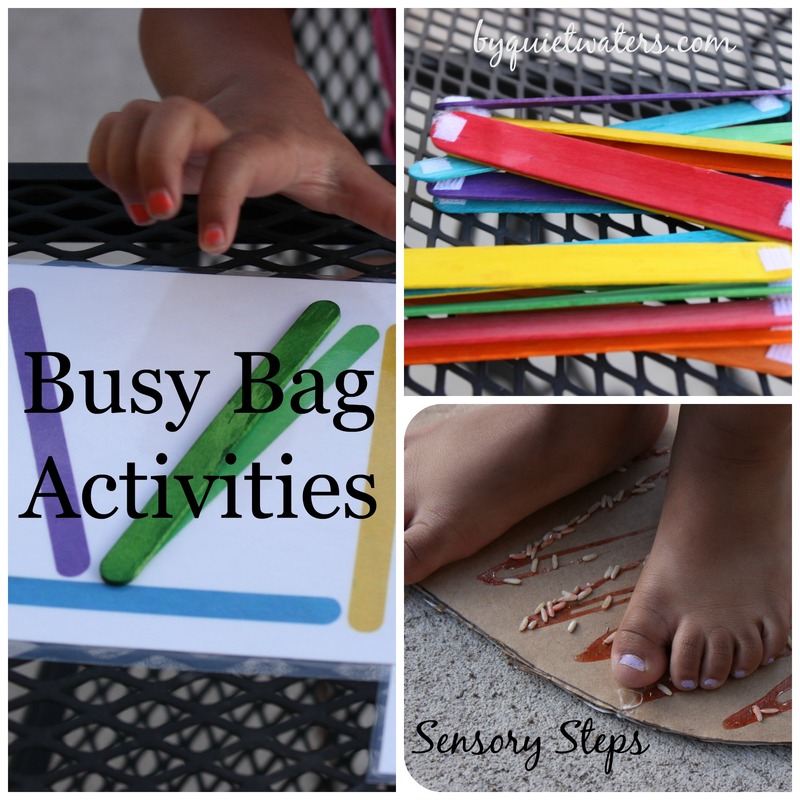 My busy bag board on pinterest is linked in this post with more ideas. Please share any ideas you have for keeping a little one positively busy in the comments! Here’s to a delightful summer! There are affiliate links in this post. You may read my affiliate disclosure here. I love these ideas!!! I’ll have to keep them in mind for my kids. I’m always trying to think of stuff like this for them.